Thanks to our partners at Cypress Creek FACE and Oper-to-Go, third-grade students get to experience a special musical performance. 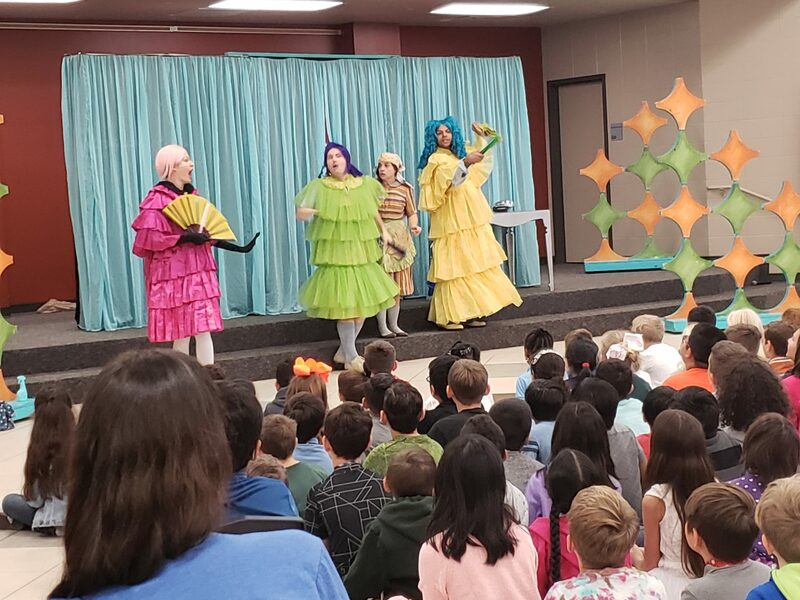 The Klein ISD Fine Arts department, in partnership with Cypress Creek Foundation for the Arts and Community Enrichment (FACE), has collaborated once again to bring the Houston Grand Opera’s educational program, Opera To Go back to Klein ISD. 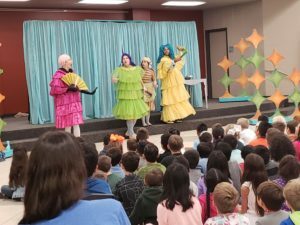 Due to the devastation of The Centrum caused by Hurricane Harvey, the Opera To Go performances are presented at elementary campuses for all Klein third graders. This year’s Opera To Go selection, Cinderella in Spain, is a fast-paced, bilingual production of the well-known tale. The production is an excellent introductory opera experience for young audiences and includes all five vocal ranges, soprano, mezzo-soprano, tenor, baritone and bass. It is easy for everyone to follow the story, not only through the words and music but by the acting as well. The performance lasts 45 minutes and the actors then spend time answering student questions. Some of the student questions included asking how the actors changed costumes so quickly, how long they worked on the play (how much rehearsal time – 1 minute of show = an hour of rehearsal), and how did they sing in Spanish if the actors don’t speak Spanish. Many thanks to Cypress Creek FACE and Opera To Go for helping bring this special musical experience to our Klein ISD students.